Today's challenge topic is "nicing" someone. I love the idea and as a person who admires and understands the importance of language, I think it's a great term to add to your every day lexicon. I suppose I could write about the co-worker who lied and tried to throw me under the bus yesterday and how I could have easily called her out in front of my team. That my nicing was that I opted to take the high road because the right people knew the truth and that calling her out to the group would not have been productive. Or, I could write about how I didn't turn in to a sarcastic jerk with the Mac Experience store who tried to sell me a copy of Snow Lion for $40 when I could (and did) buy a copy directly from Apple for half that price. No, these examples are more picking your battles and have less to do with this cool concept of nicing. Rest assured, I'll look for opportunities to nice someone when it presents itself. No, today I will take another lifeline and discuss what's on my desk at work. I have a book fetish. while my job is currently trending toward a product / engagement manager route, I still want to develop my web and interaction design chops. 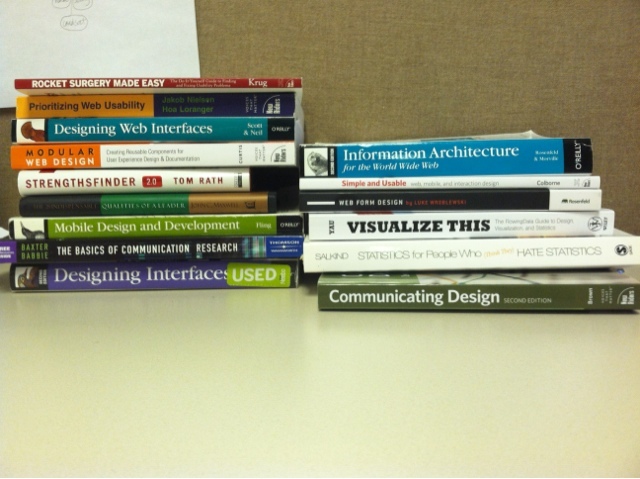 Part of what draws me to this field of work is the rich library of web design and user experience books at ones disposal. Sure direct experience and learning, whether from a conference or from a mentor, supersedes book knowledge, but a lot can be gleaned from what I imagine is the lucrative industry of technology and design books. As you can see, my publishers of choice are Rosenfeld Media, A List Apart, and O'Reilly. 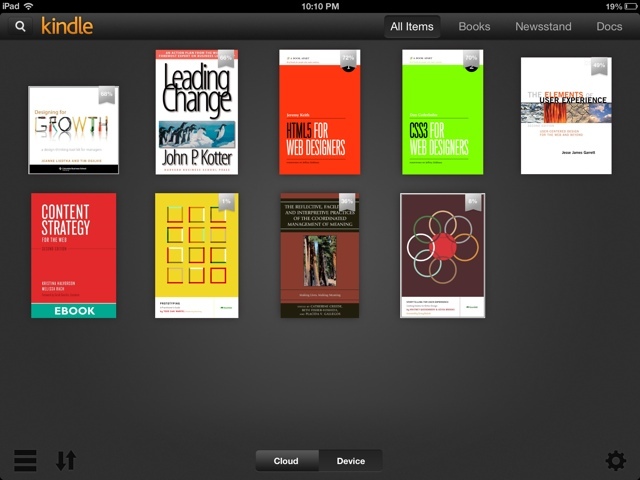 I have also recently dabbled in the realm of leadership and organizational books. I can't say that I'm fully convinced that these sorts of books are worth much. Nonetheless, I'm trying to expand my horizons and adopt different perspectives.